After May 1st, $25/person, $12.50/children under nine. You would have been PROUD of the old guys! They made you PROUD to be an Encina alumni! The old guys played a FANTASTIC game! The old guys ALMOST won! The old guys led MOST OF THE GAME before succumbing to the young guys in the fourth quarter. 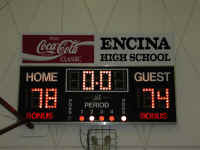 The final score was 78 to 74 ! 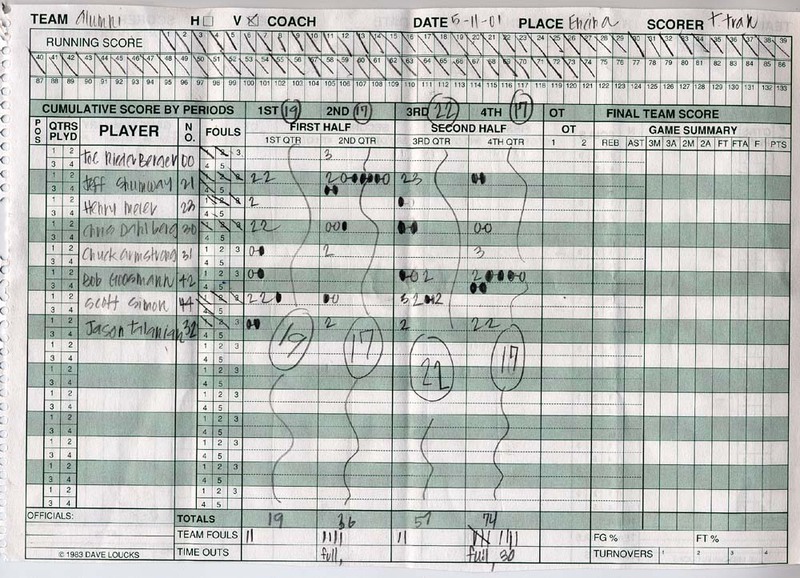 And this was for four eight minute quarters, a regulation high school game. a hard fought game filled with aggressive defense, tenacious rebounding, flying elbows, blocked shots and gritty determination. To those of you who came out and supported the team and Encina in person, who pledged, who donated, I salute you. To those of you who could have come but didn't, you missed a most memorable, entertaining evening. Don't miss next year! help from many folks at Encina! 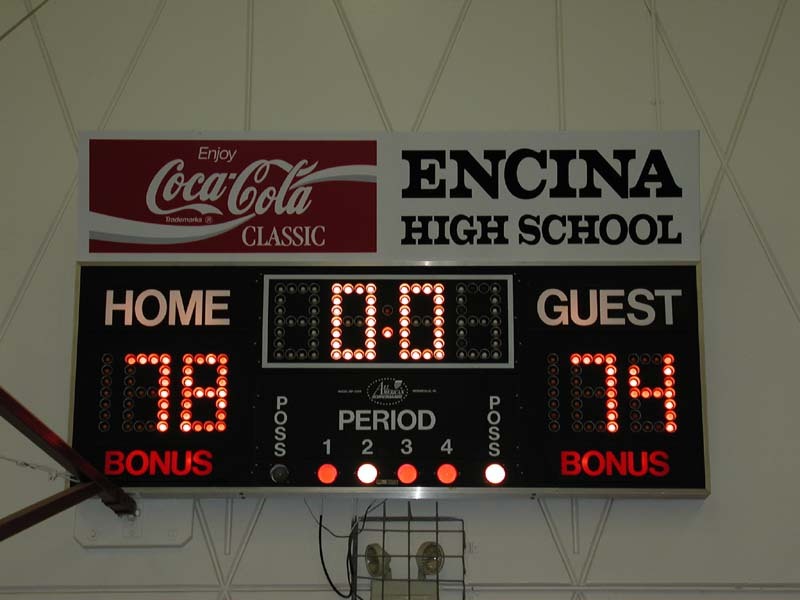 "WOW, what a great evening at Encina!! The First Annual Challenge was a huge success!! We had about 200 alumni and family at Encina for a fun, student-lead tour of campus, delicious catered meal and INCREDIBLE basketball game! The alumni team kept the young Varsity team running hard throughout the close game. NOBODY WAS GOING TO GIVE UP A BASKET OR MISS A POINT IF THEY COULD HELP IT!! People started arriving at 4:15 with tours of the campus and a tri-tip and BBQ chicken dinner in the Encina cafeteria. Becky Hurley, Encina's activity director, had students pull trivia from 30+ years of yearbooks and publish it in the evening program. It was great fun remembering trivia such as the Drama Club's production for 1976 or the editor of the Tomahawk for 1967 and much more! The Encina staff had created nice centerpieces and flags for each table by class year or years to help people meet up. Two Encina students mixed a great tape of songs from the 60' to 80's which played all night. crowd with the help of our cheerleaders (IN UNIFORM!). The final score was 78 for the current varsity team and 74 for the alum. It really could have gone either way -- it was that close! After the game we returned to the cafeteria for coffee, soda, and dessert (and A/C!). In all we probably raised over $20,000 after expenses! We had hoped that the alum would show support for the school, but this was unbelievable. I spoke with several alumni after the game who expressed their enthusiasm and interest in additional ways to help the school and kids. Encina alumni ARE the BEST. You all shined Friday night! Thanks to ALL the generous donors, players, band members, and everyone for a great event and for helping the school!" "Regarding the game, suffice it to say that both teams took it very seriously--both wanted to win. I think the kids initially assumed they would walk all over us, then by about mid-way through the second half realized they were in some trouble. Fatigue ultimately got to us in the end, but of course we were still able to finish with 74 points, in honor of the Class of '74. And the alumni section was fantastic as far as cheering--they put the Bulldog side to shame. My body may be recovered just enough a year from now to do it again..."
"I must tip my hat to you, that was a great event.It was really neat to see some old time faces. Not a bad game also. It just shows you that those old guys still have some of that magic left in them." but what the hell? it was for a very fun and GOOD CAUSE!!" "I just wanted to thank everyone involved in planning the Alumni Challenge. We had such a fun time. It was great to see the school and see old friends. Again, thank you very much!" "It was a great evening, Harlan, thanks to you and Steve. We had a blast; even my kids thought the game was fun (though I think they were enjoying a slightly different aspect in the form of the younger team's members!). Hope everyone comes through with their pledges. Have an idea that I can't organize and therefore shouldn't even have the nerve to suggest: it would be nice to have a "float" (convertable? truck?) 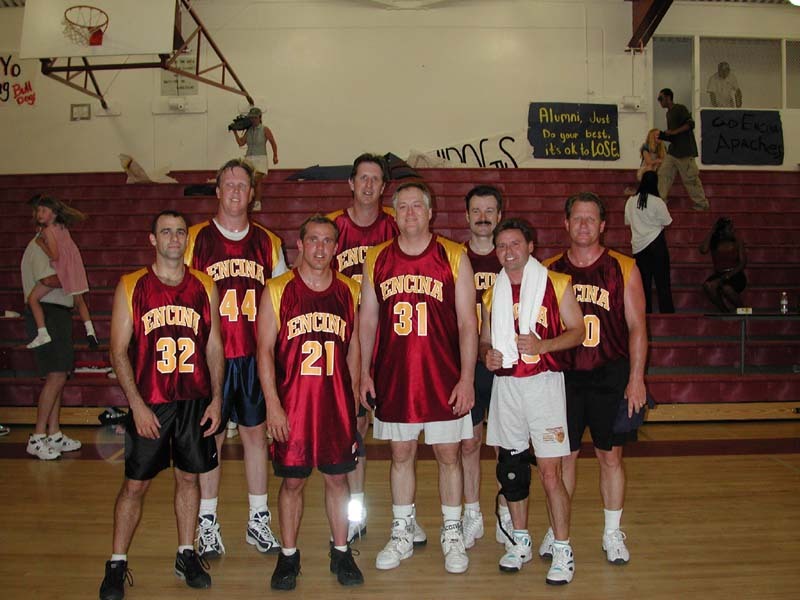 featuring "The Fantastic Encina Alumni Basketball Team of 2001 that helped to raise $20,000", or some such thing. That band sure was a winner - ditto for them." 74 alumni points == $18,500 !!! I want to thank all the alumni for their per alumni point pledges. For some of you who may not have thought the alumni would score so many points, let me assure you that no one ran up the score in this game. Anyone who was there can assure you that both sides played good defense. I would estimate that there were 3 attempts for each basket that was made, so the score could have been much, much higher. Everyone of these points was earned! daughter dressed as an Apache mascot. Dave claims he had to go to LA at the last minute so we'll never know <g>. him a $250 Macy's gift certificate! We raised about $100 more for Encina with this halftime contest. and tell me your name, year and instrument for posterity. Emmett O'Sullivan 69 on ? Thanks to all those who participated. Thanks to John Knurr for coming all the way from Wisconsin and organizing the alumni band. The band sounded great and it added a lot to the festivities! The decorations, the music, the picture taking and video taping, the band and the food were all great. I heard many alum talk about how pleased they were with the tours and the campus and how much fun they had with their student guides! 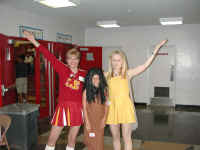 Becky Hurley and Stephanie Woo, please give a big thanks to all your students for their help. They should know that they were a big part of the success. Myrtle Berry, your teachers, office and custodial staff are wonderful. Please pass along a big thanks from the Encina Alum. Also, since I don't have their email addresses, can you thank Coach Hibbard and Coach Vaughn for their work in putting together a great event and game and Mr. Oropallo and Mr. Gatewood for first rate reffing! Below are the stats for the game. 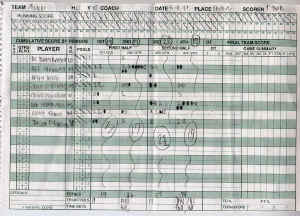 Unfortunately, the scoring stats do not reflect the defensive skills displayed, nor the great rebounding by the alumni team. And the stat keepers didn't keep track of shots attempted, blocked shots or knockdowns, although I guess we could review the videotapes. And there were a lot of blocked shots on both sides. Campus Tours: Current students will provide guided tours of the campus for alumni. Visit the Encina Art Gallery, check out your old classrooms, and marvel at the fact that all of the lockers are gone. 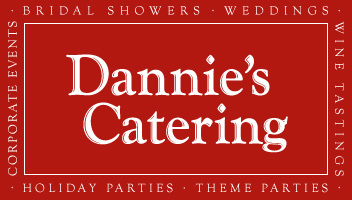 Dinner: Dannies Catering will provide a delicious barbecue dinner featuring tri-tip, chicken breast, and all the fixings. Tables will be set up for each class year to facilitate socializing. 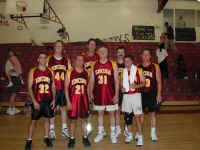 Basketball Game: A team of former varsity players will take on this years team, which won the league title. An Alumni Pep band will play during the game. Post-Game Party: Coffee and socializing with background music from the 60s, 70s and 80s. Cost for the entire event is $20 per person, and all proceeds will go directly to the school. Dannis Catering has generously agreed to provide the dinner at cost, so this will be a great fund-raising opportunity. Payable to "Encina High School Booster Club"
If you have a PayPal account you can pay via credit card.